Test calcium hardness monthly and add this product if calcium hardness is below 200ppm. 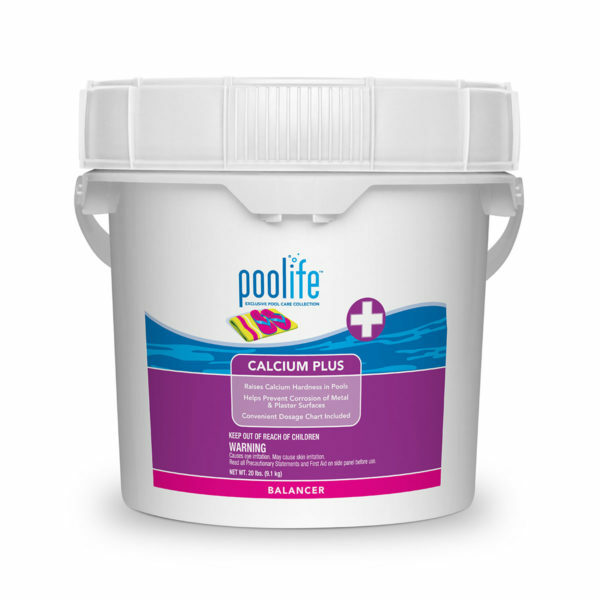 If a large amount of poolife® Calcium Plus is required (more than a 50 ppm addition), add in 1/3 increments, allowing 4-6 hours between additions. AVAILABLE SIZES: 4 lbs. / 7 lbs. / 20 lbs.